The meeting of consultative committee of experts for climate system modeling was held on Nov. 4th, 2004 at the Climate Science and Technology Building in CMA. The meeting was chaired by Chao Qing chen, the deputy director- general of DSTD. 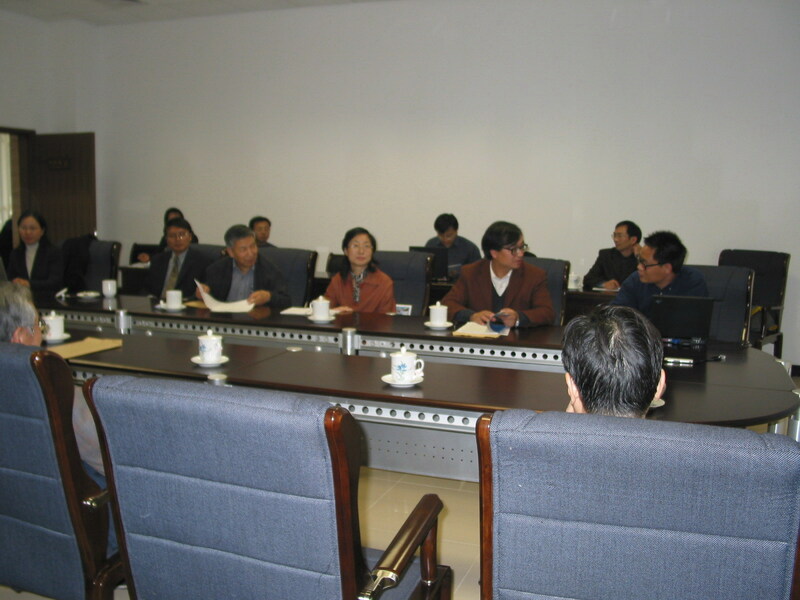 Academician of Zhou Xiuji, Chou Jifan and Xu Jianmin, experts of Liao Dongxian, Xue Jishan and Ni runqi, members of consultative committee of experts attended the meeting. The Dong Wenjie and Chen Dehui, lead-scientist of climate system modeling, Chen Deliang specially invited expert, Shen Xueshun, the principal of research on the climate system modeling group and main scientists from Division of Climate system model of NCC participated in the meetings. Dr. Shen Xueshun reported the “The development of climate system modeling - research plan and implement scheme”(first draft), which based on both the A and B version of “Research on development of climate system modelling”. Academician Zhou Xiuji was chaired the following discussion. The meeting was filled with passion and harmonious, experts all thought that the topic was well and every academician proposed good options and suggestions. At last, experts were consistent basically with the several questions about how to develop Chinese climate system modeling in CMA.